THE CHALLENGES: Launch a new line of wine exclusively for the U.S. market, while challenging the perception of Israeli wines as being low-quality kosher/ceremonial, while presenting Israel as a world-class wine-producing nation. THE SOLUTION: Our approach was centered on the mystery of the Gilgal namesake. 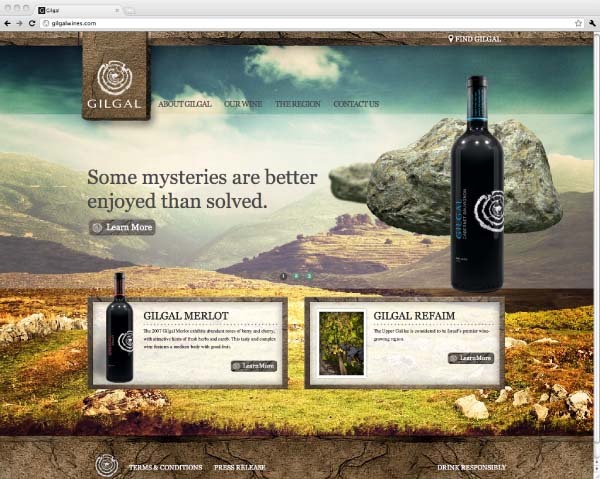 Gilgal wine takes its name from the Gilgal Refaim, a large, mysterious Stonehenge-like structure discovered in the Golan Heights region of Israel. 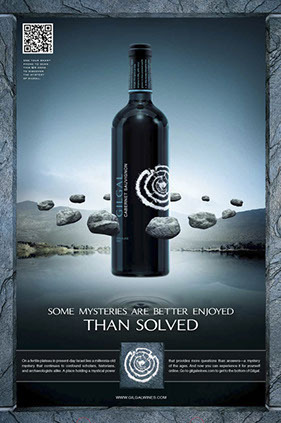 To this day, very little is known about the structure or Israeli wine. 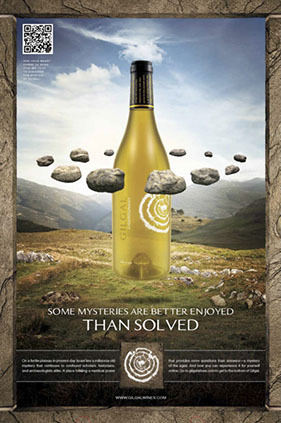 With that, we created our own mystery of Gilgal, replete with floating stones. The campaign launched with viral videos aimed at lifestyle bloggers who would be attending the !LAVISH! lifestyle blogging conference. As the event’s main sponsor, we had immediate access to some of the most influencial and prolific lifestyle bloggers in the blogosphere. Without revealing who, or what, Gilgal was, we started piquing the bloggers’ curiosity with several “amateur” videos of peoples’ encounters with floating rocks. These videos linked back to the amateur-looking site, “Whataretheserocks.com.” The mystery of the videos was revealed at the conference with a keynote address given by Golan Heights Winery CEO, Udi Kadim. And to the additional surprise of the attending bloggers, the wine served that night was nothing other than Gilgal.